ID: 2081 ~ Source: BU Records: NoZe Brotherhood, Accession #BU/384, Box 1, Folder 11, The Texas Collection, Baylor University. NoZe Brothers find great joy in just the right amount of irreverence. 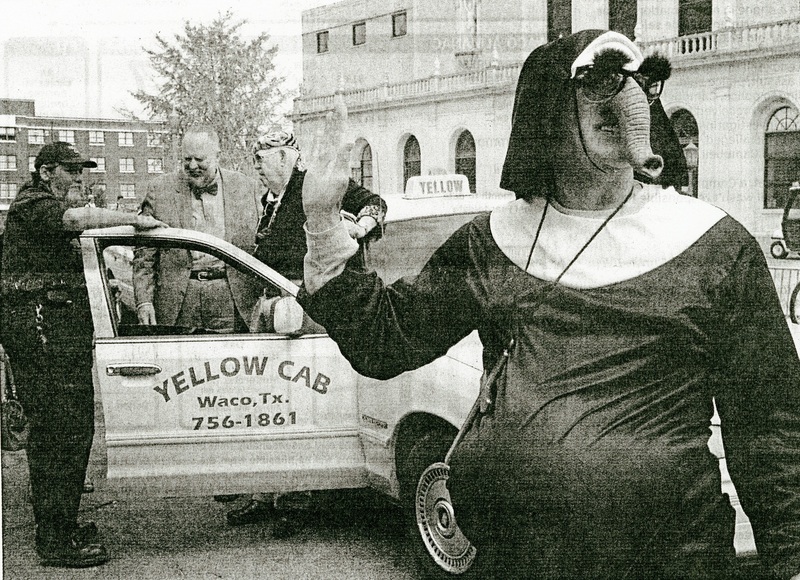 Here a Brother is dressed as a pregnant nun outside of Baylor’s Student Union Building.